A fairytale epic, featuring a sad frog who just wishes to be whole again, can you help him? Growing up, we would always be told various nursery rhymes and fables, all of which were told to our parents by their parents and so on and so forth. These stories would make us laugh, they’d make us cry, but most of all they would make us want to read more, an itch that no matter how hard we scratched, would always be there. Stories such as The Gingerbread Man and The Three Bears shaped our childhoods, which is why whenever developers such as Eyecon, develop slots that fit to the same themes, well we cant help but be excited as to what’s to come. Enchanted Prince is an amalgamation of multiple fables all rolled into one, the biggest theme at play here happens to be our main character: the frog, the same frog who happened to be a prince not so long ago, but here he croaks. In Enchanted Prince it’s your job to bring him back to the life he once had whilst simultaneously earning a pretty penny. 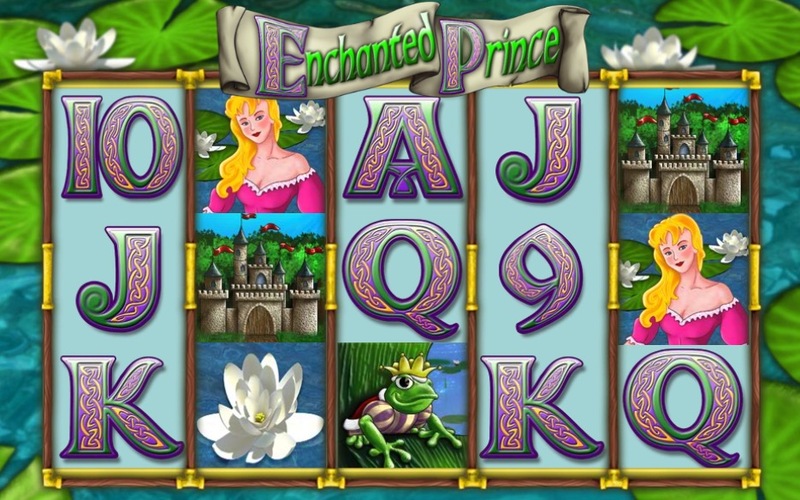 Enchanted Prince is a 5 reel slot on Thorslots that is played out across 25 fixed pay-lines. The fact that the pay-lines are fixed might lead one to believe that there is a limitation to gameplay, and while that might be true depending on the player, we found that this slot was equally as entertaining as most slots that currently sit in market. Additional features here are as thrilling as the thought of playing a slot from childhood, but we’ll get to those in due time. Speaking of which, if you would like to know more about Enchanted Prince then be sure to read the rest of our written review below! Going into this slot we tried to keep an open mind despite having a penchant for storybook tales and fables being the main inspiration for this online video slots. Some players will find themselves playing this slot on theme alone which is great, but having a slot with great gameplay will snap them out of their trance somewhat, so rather than playing for nostalgia they are playing for themselves and the fun to be had. The reality of the situation is that players looking for memorable experiences will find them in Enchanted Prince and then-some. Try not to be put off by the cartoonish graphics as they blend very well with the gameplay, trust us. This Eyecon developed slot might be one of the most visually pleasing in recent memory for the developer. The colours here are as bright as the theme, which is very well-done considering other developers tend to go in the opposite direction by crafting something a little more dark and bleak. The use of greens and light blues do an excellent job in evoking a feeling from those that spin these reels for themselves. Enchanted Prince puts players smack dab in the middle of the lily pond where they must not only evade getting wet, but most also come out with some rather generous cash pay-outs. 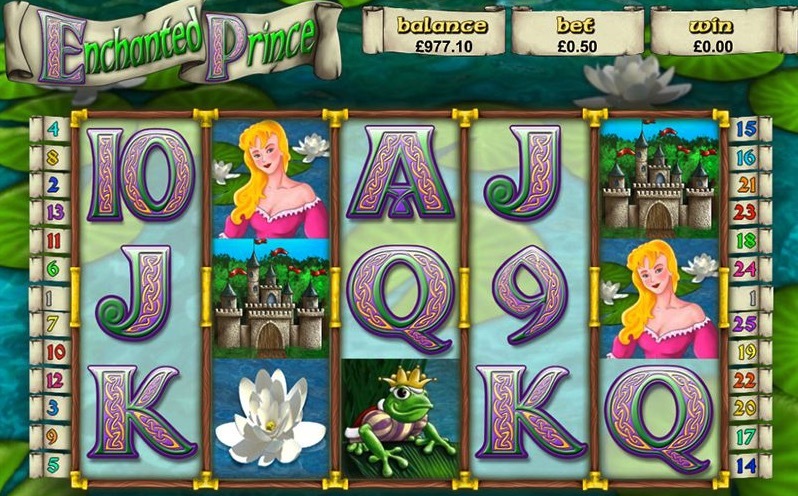 Every spin in Enchanted Prince feels as different from the last, with some of our sessions going on for hours on end, this is just the addictive powers of this slot overall. Each symbol in this slot again plays towards the fairytale aspect that we’ve already spoken about. Symbols are matched in the traditional left to right direction, with each symbol representing something different when it comes to the value they possess, the same value that players must extract. The cartoonish style lends itself very nicely to the themes at play here, which in turn will encourage players to spin more than one game at a time. Symbols in Enchanted Prince feature a mixture of low value, and high value symbols. Low value symbols take the shapes of various letters and numbers. The high value symbols here can be found in lily pads, princesses, castles and frogs. Additional features in Enchanted Prince carry gameplay along at a steady pace for the most part, although some features will make gameplay a lot faster and a lot more unique. We highly encourage playing until you have experienced each additional feature at-least once in order to get a full feel for what developer Eyecon had intended. 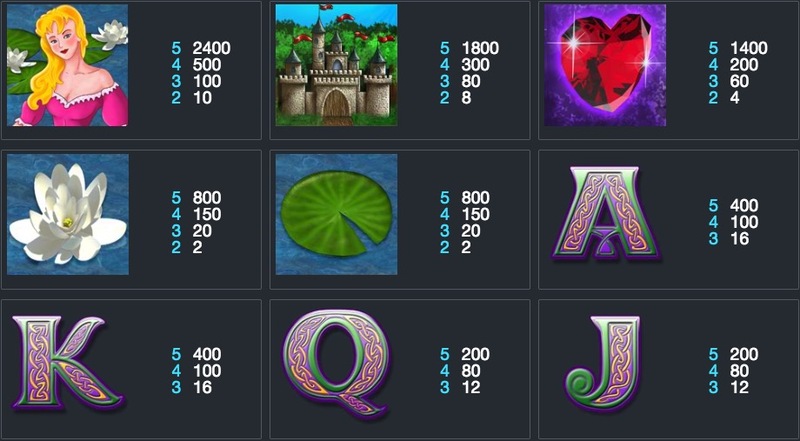 WILDS: Found in many online slots, the wild will substitute out most symbols on the reels aside from the scatter symbol. The kings crown is the wild symbol. SCATTER: The scatter symbol offers players the chance to rack up even higher scores as scatters will offer entry into free spin bonuses. The more scatters players will match the more free spins they will earn. Landing 5 scatters will earn players around 15 free spins and an additional multiplier! Eyecon are back at it again, creating a slot that has capsulated audiences in a way that only benefits them and their need for never-ending nostalgia. The gameplay at hand is only as good as the theme that can be found throughout, and we can confirm that in Enchanted Prince, both are dealt with in a very detailed manner. Enchanted Prince is one of the most popular online slots out there for a reason, so what are you waiting for? 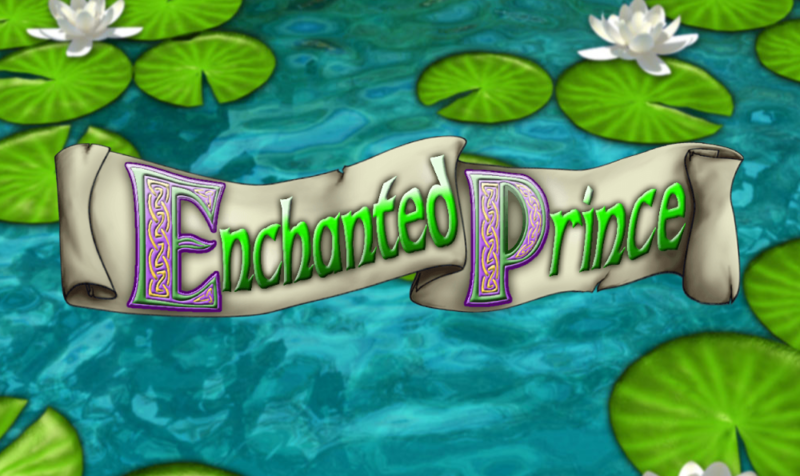 Play Enchanted Prince today! Or why not try Twin Spin?